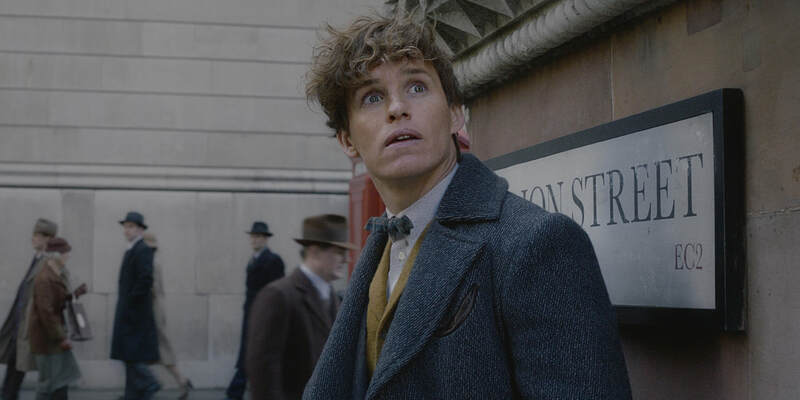 THE STORY - In an effort to thwart Grindelwald's plans of raising pure-blood wizards to rule over all non-magical beings, Albus Dumbledore enlists his former student Newt Scamander, who agrees to help, unaware of the dangers that lie ahead. Lines are drawn as love and loyalty are tested, even among the truest friends and family, in an increasingly divided world. THE GOOD - A fantastical, epic and cinematic score by James Newton Howard. Production design and costumes continue to be a highlight of this franchise. THE BAD - David Yates' direction is messy, rushed and the script by J.K. Rowling is hard to follow with too many shallow characters and convoluted subplots. Johnny Depp's presence is distracting. Bad visual effects and editing do not help. All of this represents a low point for the franchise. ​Two years ago, I proclaimed that the new "Fantastic Beasts" franchise was nothing more than a cash grab by Warner Bros. in an attempt to capitalize and continue their run of success from the "Harry Potter" films. "Fantastic Beasts And Where To Find Them" was convoluted, not as relatable as Harry Potter and suffered from clunky storytelling with too many characters. Anyone who disagreed with me (and many others) may have to come around to the idea that we were on to something because in the new franchise's second installment "Fantastic Beasts: The Crimes Of Grindelwald," all of those problems are magnified. Terms such as "Obscurials," "Maledictus" and "Legilimens" are all commonplace while key positions within the Head of Magical Law Enforcement and Magical Congress of the United States of America are held by characters that I'm sure are supposed to be of some importance but after directing 6 films in the wizarding world for Warner Bros., it's clear that David Yates doesn't care anymore about filling in newcomers to this franchise or course correcting mistakes that were made with the first film. Taking place right after the events of "Fantastic Beasts And Where To Find Them", Gellert Grindelwald (Johnny Depp) has escaped custody and has begun his plan of raising pure-blood wizards to rule over all non-magical beings. The only person who stands in his way is Hogwarts teacher Albus Dumbledore (Jude Law) but because he cannot move on Grindelwald due to a personal past history the two men share with one another, he enlists the help of his former student Newt Scamander (Eddie Redmayne) to help track down the key to Grindelwald's plan: a young man named Credence Barebone (Ezra Miller). It's dark, rainy, cloudy....am I describing the ambitious opening but stale setpiece of "The Crimes Of Grindelwald" or am I describing the movie itself? One could argue that the opening few moments of David Yates' latest venture into J.K. Rowling's universe is the most confusing, unfocused and dare I say, boring opening for any movie in this franchise yet. It's a prisoner transfer/escape that we've seen hundreds of times before in other movies but this one takes place over a 1927 New York City skyline on a dark and stormy night with a flying carriage and spells and god knows what else. Right away we are told a few things that carry through "The Crimes of Grindelwald" and never change. The visual effects are lacking and there is an incoherency to the action, story, and characters, especially for those who found the reintegration into Rowling's world with the last installment to be muddled and convoluted. There are simply too many characters with not enough development for us to care about when the stakes rise in this film. There's a whole plotline revolving around Credence and his identity. He doesn't know who he is but the audience also shares that same issue. Outside of looking for his true identity or acting as a pawn in a larger scheme by Grindelwald, he's just one of many examples of a character that we never get to know on a deeper and personal level. Returning characters such as Tina, Jacob and Queenie don't get much-added depth either and instead are regulated to nothing more than what feels like extended cameos. While Jude Law enters the franchise playing a younger Albus Dumbledore in a performance that bears no resemblance to either Richard Harris or Michael Gambon in either tone, voice or looks. His impact on the story is also minimal leading this much hyped about appearance by such a beloved character to be a disappointment. Honestly, the only character who gets enough to do in "The Crimes Of Grindelwald" is Leta Lestrange (Zoë Kravitz), who was regulated to only a cameo in the first film. Her relationship with the Scamander brothers (Callum Turner plays Newt's brother Theseus Scamander, another dull character) is still a bit shallow but Kravitz does the best with what she's given and a few well-provided flashback scenes to her time at Hogwarts with Newt help to flesh things out. But the crimes of this movie don't stop there. With the beforementioned rising stakes comes Grindelwald played by Johnny Depp in what is certainly a dark and serious Johnny Depp performance. However, with a bit of personal baggage from the actor's own life being brought into the film by audience members, his evil dark wizard is certainly easy to hate but for all of the wrong reasons. Depp's performance is one note and is nowhere near as layered or interesting as other villainous turns he has given us in the past. His motivations for ruling over the all no pure-bloods in the wizarding world shows signs of nationalism and even ties into the rise of Hitler (considering the time period) but the film does not go deeper with these comparisons to draw any meaningful conclusions. It also doesn't help that (once again) this movie ends on a cliffhanger, killing any chances for fan's memory of this movie to be singular rather than part of a greater whole. There are spells, there are beasts, there is humor but I'm at a point where I just don't care anymore. In a film where the sides are established for an upcoming showdown between good and evil, without the proper characterization or plot coherency, "The Crimes Of Grindelwald" feels like an inconsequential waste of a film. There was room for improvement after "Fantastic Beasts And Where To Find Them" but it appears director David Yates and writer J.K. Rowling didn't listen to any feedback and instead took us down the same route we started on two years ago. And for the uninitiated who aren't as immersed in this world, we were just expected to blindly follow along. Well, just as Newt finally (I still don't know why it took so long or this much to convince him) chooses a side at the end of this latest installment, I too have chosen a side. "The Crimes Of Grindelwald" represents the low-point of the franchise.